Carbon molecular sieve (CMS) is a new-style nonpolarity sorbent that can absorb oxygen molecule under normal temperature and swinging pressure.as a result.the enriched nitrogen gas been generated.Its separative capacity rests on the different diffusing speed or adsorptive ability of the various kinds of gases in the air,or both the effects of the two. 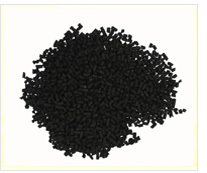 Carbon molecular sieve is widely applied in petroleum chemical industry,metal heat treatment,electron production,keep-fresh of foodstuff,etc.. The product is carbon adsorbent is a porous material composed of carbon, pore structure model for disordered accumulation of carbon. 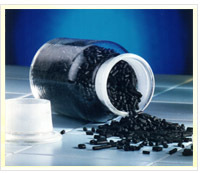 Carbon molecular sieves non-stoichiometric compounds, important properties which is based on its cellular structure. It is the ability to separate the air, depending on a variety of gases in the air, carbon molecular sieve pore diffusion different speeds or different adsorption, or both effects simultaneously. Under equilibrium conditions, the carbon molecular sieve adsorption of oxygen and nitrogen is very close, but oxygen molecules through the diffusion rate.